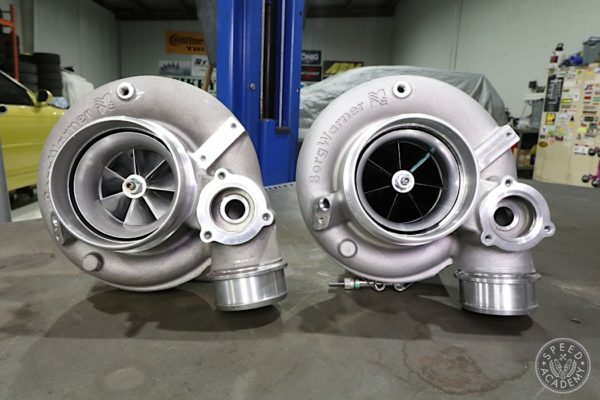 It seems that a few of us here at Speed Academy have gone K swap crazy. 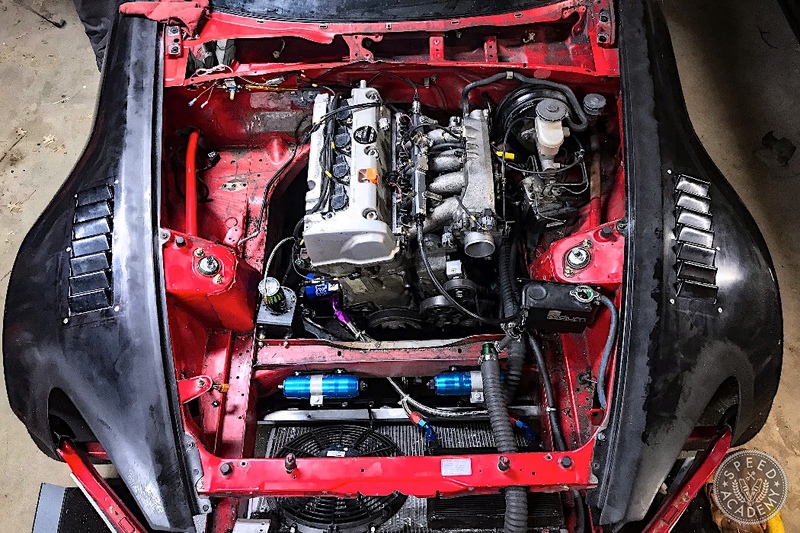 We put a K20 in Pete’s brother’s EK coupe last year and we’re currently putting one in our S14. So I figured I might as well join along and put one in my S2000 as well! Alright, I know what you are wondering: “Why the heck would anyone take out a running F20C for a K24A2?” Well, I’ll shed some light on that. These F series engines weren’t massed produced in multiple variants like the K series. They also only came in S2000s, so what that means is that they are becoming harder to find with each passing day. With rarity comes a rise in price. I don’t know about you, but I like to go fast for as cheap as possible. 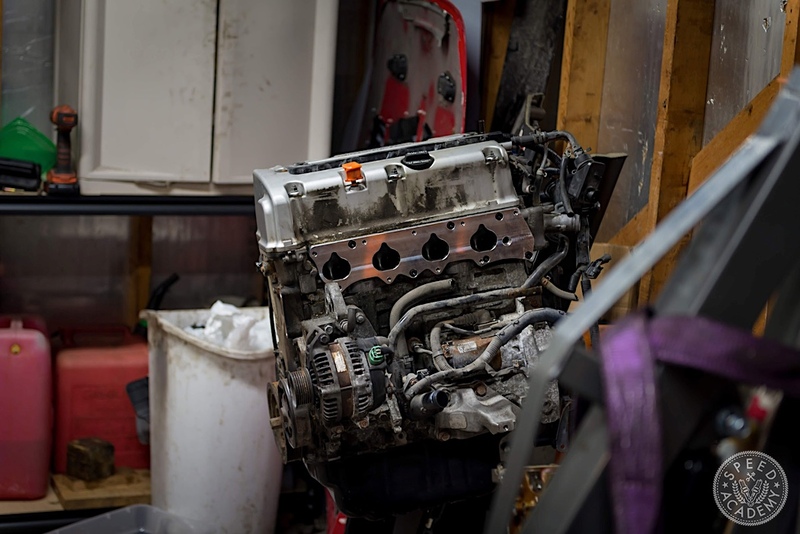 Swapping out my gem of an engine for a “lesser” engine made the most sense to me, plus Sheri my AP1 will gain almost half a litre of displacement! So lets take a look at some of the things you and I will need to K swap this thing. 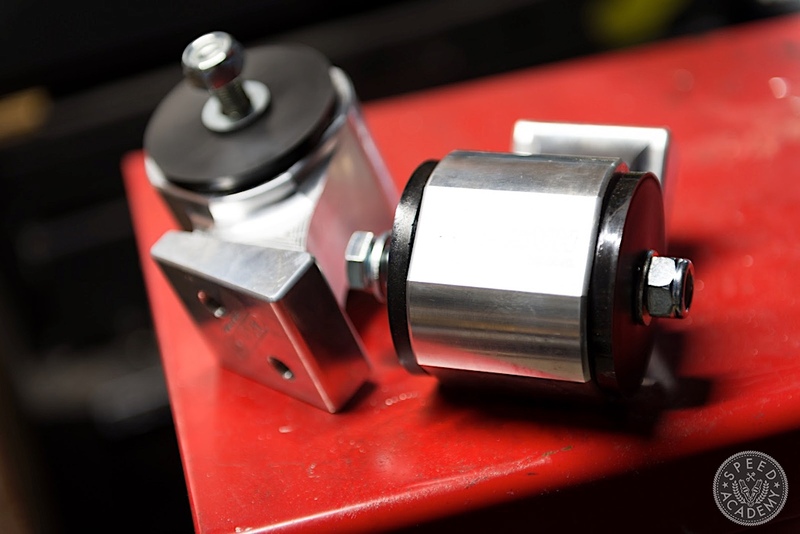 The K24 intake and exhaust flanges are different, so you will need a solution for both. For my needs I chose to get an adapter plate to retrofit my F20 intake manifold on it. That allowed me to keep my Radium fuel rail, Evolved Injection 1200cc injectors, and AEM fuel pressure sensor. 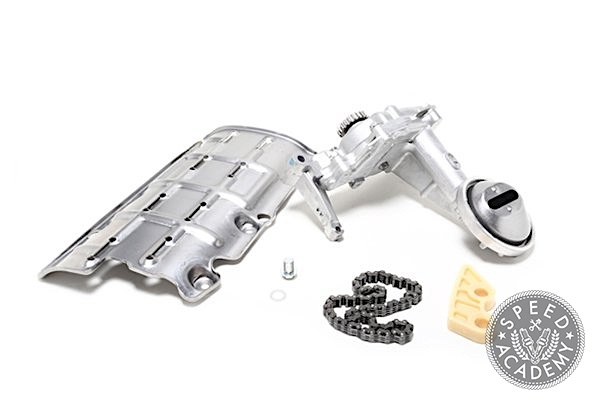 There are certainly options out there that allow you to use some aftermarket K series manifolds and flip them around (if you don’t flip them around they will be facing the firewall in a RWD car), like the Skunk2 Ultra Series manifold, but it’s an expensive piece ($808 USD). Did I mention I like to go fast for as cheap as possible? Beware, though! 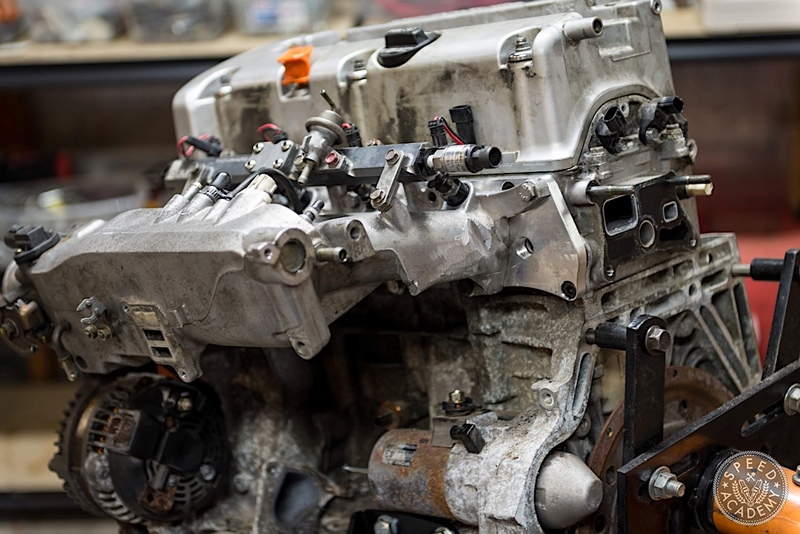 Just like on the K24-swapped S14, you will have to trim the S2000 manifold by a lot when you go this route. 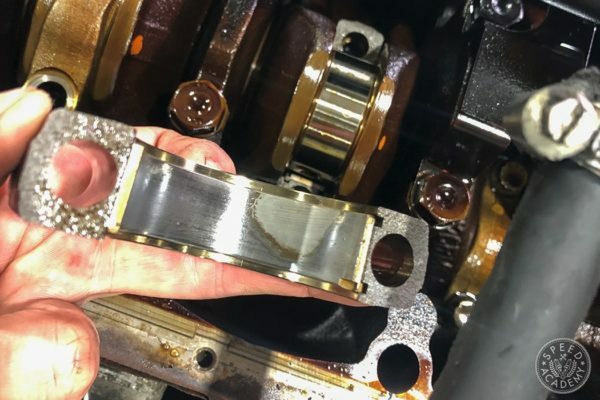 You may also find yourself with a tube of Hondabond in your hand and a smelly garage as you fix leaks between the adapter, head, and manifold. Engine mounts are, of course, needed for this project. Some companies use the factory mounting location on the K-series, which mounts the front of the engine to the front cross member. For me this setup is all kinds of nope, so I chose the Hasport mounts which use the factory F-series mounting location. 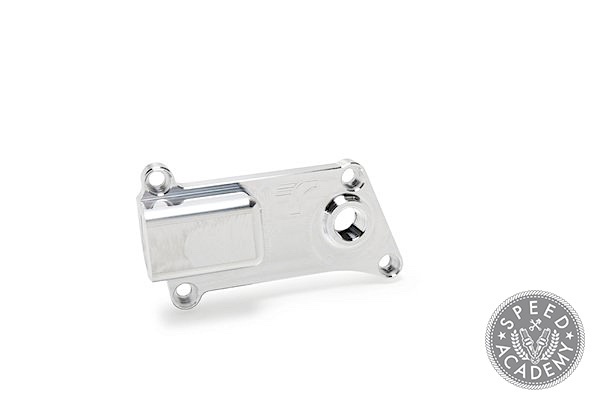 They also have notches in the bracket for K24 or K20. 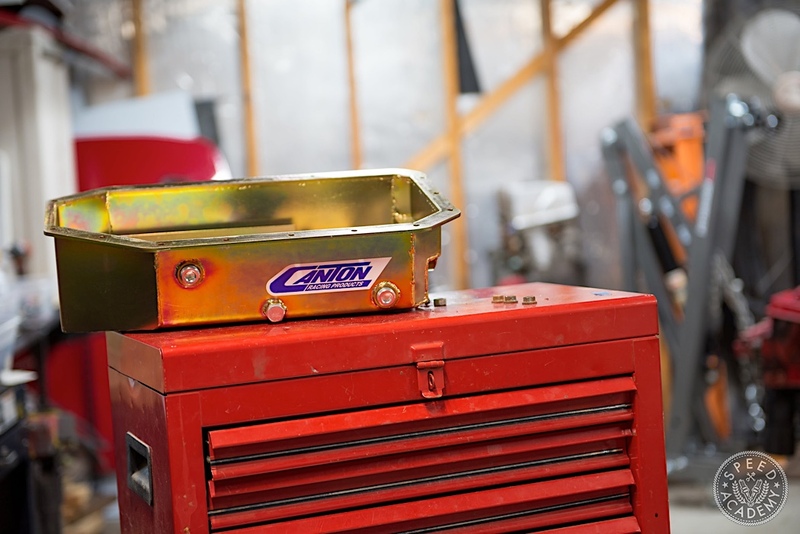 The K24 is a little taller than the K20, so with this mounting solution you can lower the K24 enough to close the hood. All kinds of yup right there. 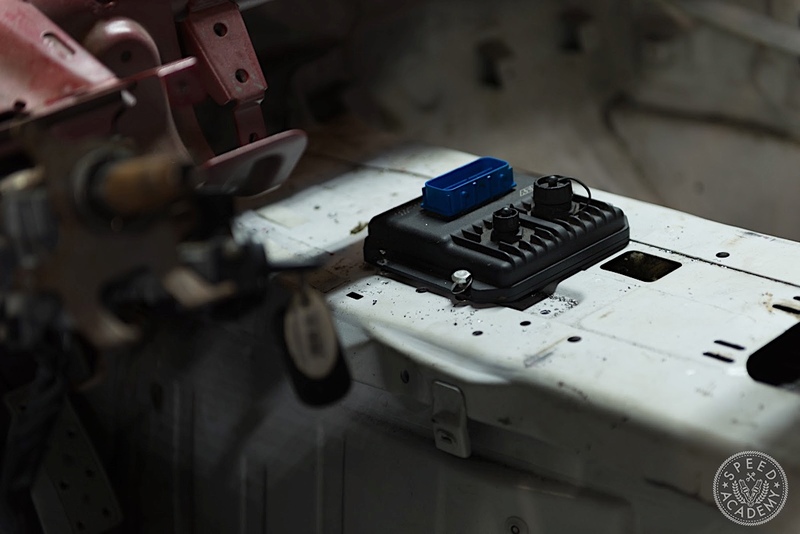 Don’t forget you need to control everything that is going on with your new K-swapped S2000, right? Well, AEM also has you covered there with their Infinity 506 engine management unit. This is the ECU that I’ve used for two years on the F20C setup and I have fallen in love with how fast it reacts to conditions and in all honesty its saved my engine from silly mistakes that I have made. For example, when I failed to correctly diagnosing a dying alternator which caused my engine to run lean since it didn’t have enough voltage to power the injectors, the Infinity’s failsafe feature configured by my tuner Yusuf at Flyin Evo saw the problem and prevented the lean condition before it could do any serious damage. All I can say is, thank you Infinity and Yusuf! 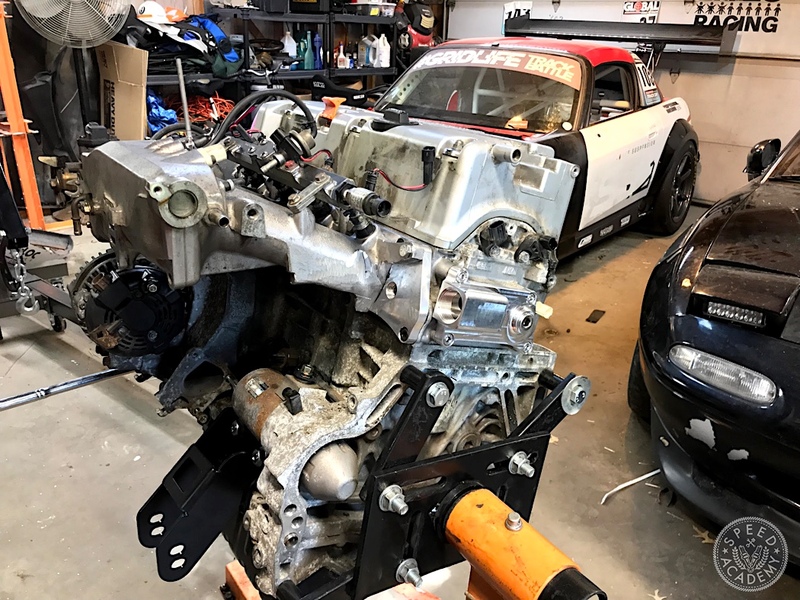 With this swap I wanted to shed some weight on the car as well, and since I needed a engine harness solution for the swap I contacted Chandler Autosport for this custom motorsports grade solution. 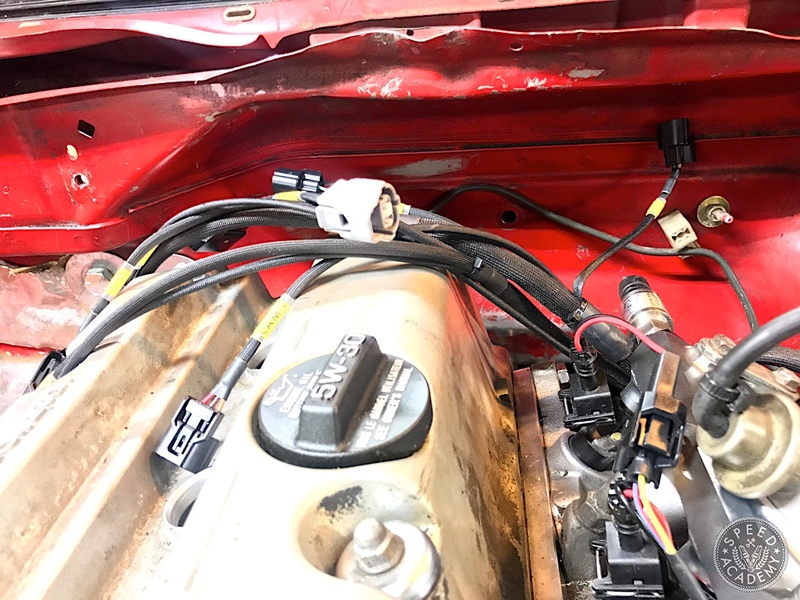 Their full harness eliminates a lot of stuff that I don’t need, like headlights and EVAP stuff, so in the end I’ve got a simpler, cleaner, more reliable and lighter harness under the hood. 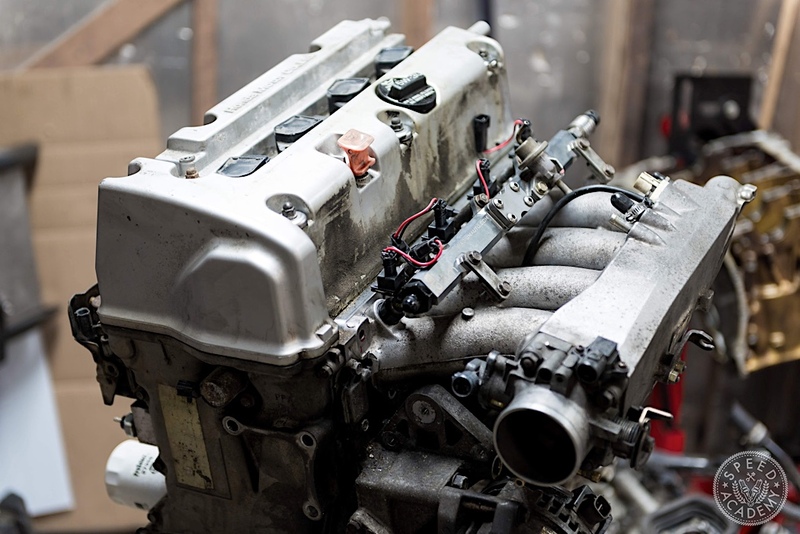 One thing that I did not want to happen with this swap is to starve the engine of oil. 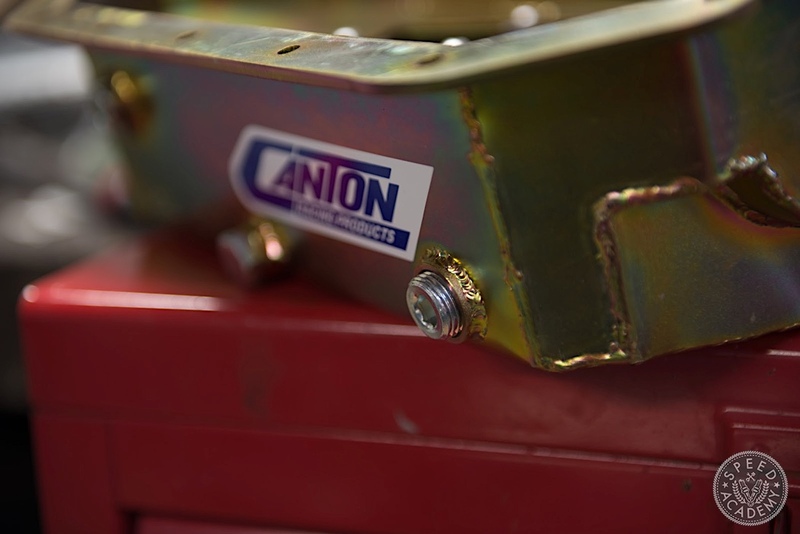 So like my F20C, I wanted to run a Canton Racing oil pan to prevent oil from moving away from the pick-up. Built in trap doors and places to put all your fittings for the turbo set-up make this pan a great solution. I went into detail on my personal website, if you want to check that out. 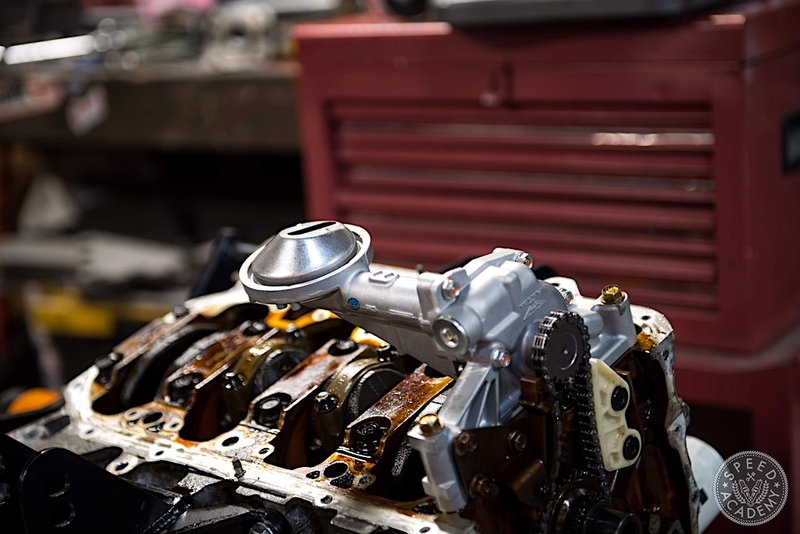 Speaking of the oil pick-up, if you plan to rev a K24 out you NEED at least a type S oil pump. TracTuff has a simple bolt on kit for that. This is on its way to me as of writing this. 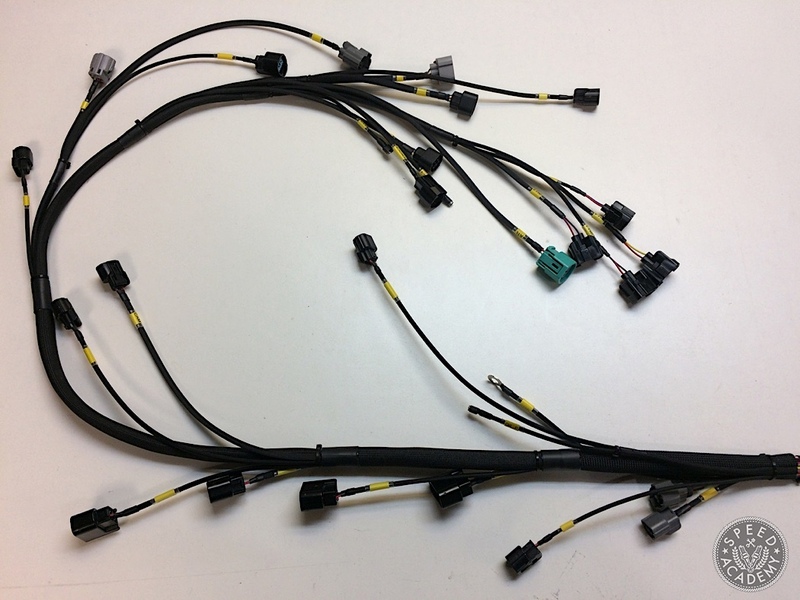 As you saw during Pete’s K24 S14 build, he K-series has the heater hoses/coolant hoses going into the firewall when you put it in a RWD platform. So TracTuff makes an adapter to solve all your problems. As of writing this it is in the mail on it’s way to me as well. 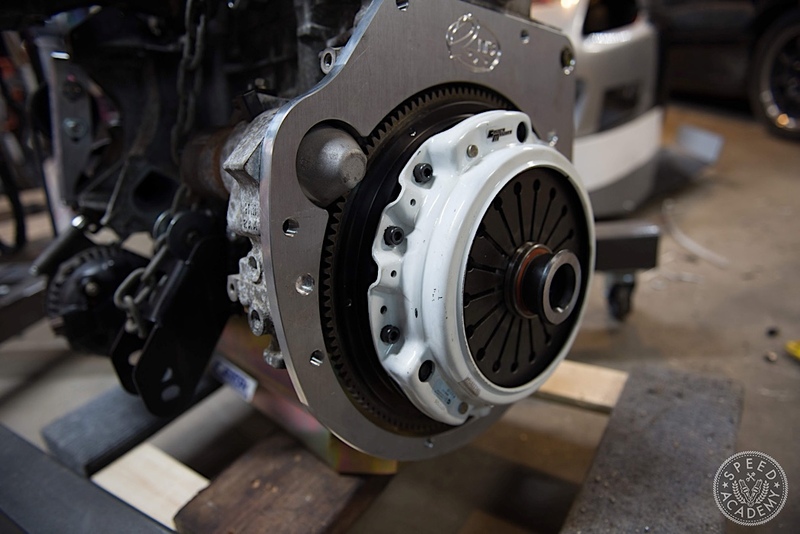 Last but not least, you need an adapter plate and flywheel for this swap. 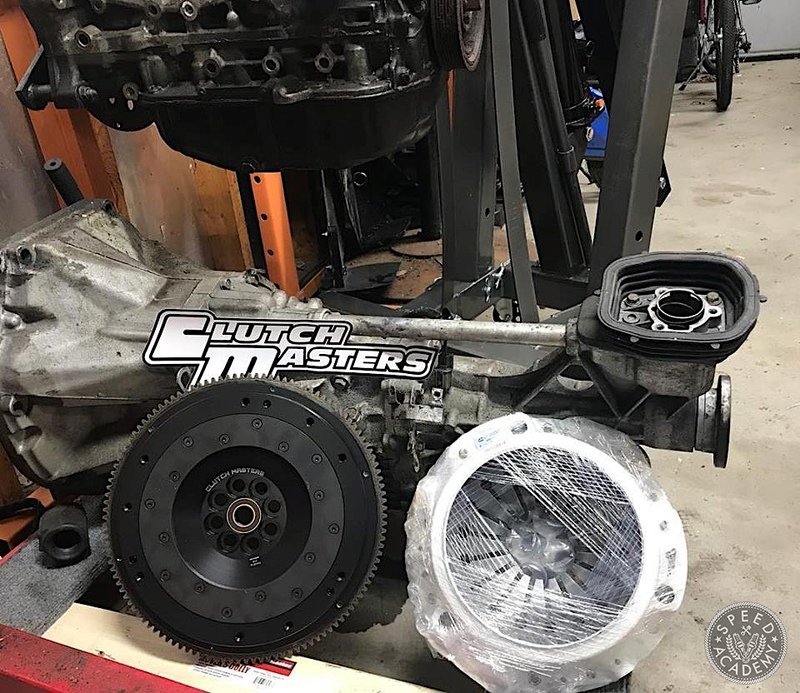 You can use any F20C clutch with this Clutch Masters flywheel. This should help me put down the 450 ft/lbs of torque I want to make. This is how the car currently sits, we have three weeks to Gridlife South that I’m aiming to be at. Lets see what happens? 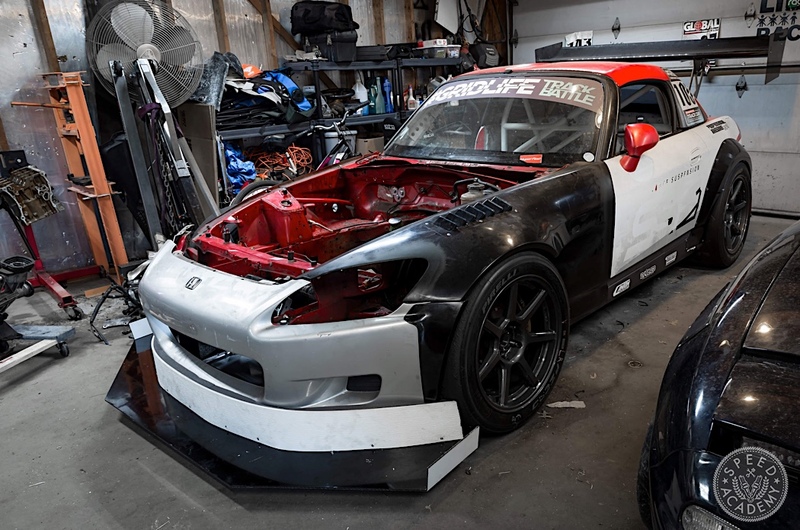 4 Comments on "So You Want To K-Swap Your S2000? How come you didn’t put this on YouTube? This isn’t our car, it’s our friend Devin’s and he lives 10 hours away (in Chicago). 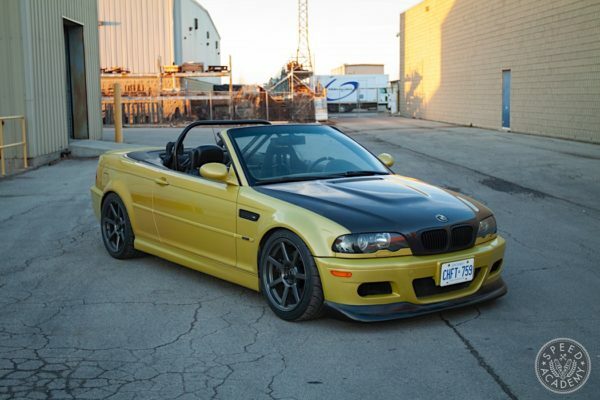 But he is planning to bring the car up our way (Toronto) soon so we can shoot a video about it. the link for the flywheel isn’t working. 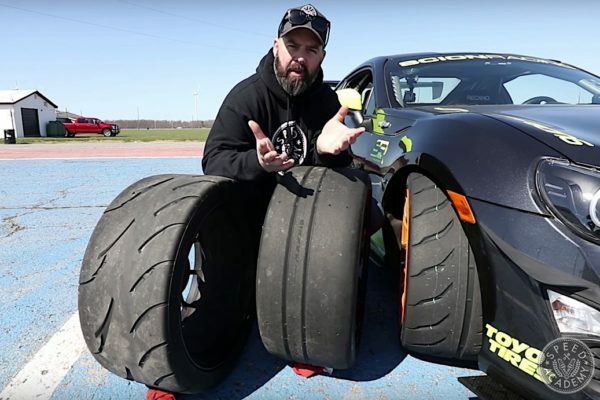 what flywheel and adapter did he use? link to flywheel is broken. what adapter and flywheel did he use?